Atomica. This dimly-lit, wooden-oven pizza spot is one of my favourite places in town for a number of reasons (which I will explain shortly). 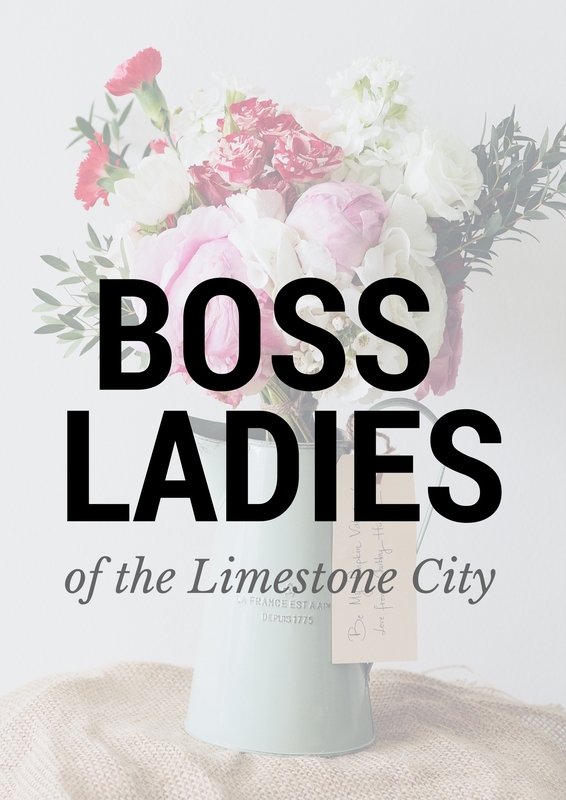 That’s why I suggested it for a dinner date last week with a few of my favourite Kingston lifestyle bloggers – check out these talented ladies! Chelsey of With Love and Wild Photography, Nikki of Niche Photography, Brooke of Just Add Stripes and Steph of Taylor Clark Photography joined me for a delicious meal and our visit confirmed why I love Atomica so much. Drink Choices: The cocktails at Atomica make it difficult to go for the adult-y glass of wine choice. Which is why I order the delicious and girly, Key Lime – vanilla vodka, lime, vanilla bean simple syrup and pineapple. So good. In the past I’ve had their sangria – the pear sangria is my #1 – it’s one of my favourites in Kingston. Food Choices: I love any place that brings bread after you’ve ordered. It’s especially wonderful when the bread is fresh and delicious and there’s extra virgin olive oil and balsamic vinegar from Kingston Olive Oil Company to dip it in *heart-eye emoji*. I usually start with the bruschetta. The bread has the perfect amount of crunch and a generous topping of tomato, garlic, basil, chèvre, balsamic and extra virgin olive oil; or prosciutto, arugula, gorgonzola dolce and fig jam; or mixed mushroom, marsala-garlic crème, parmigiana and balsamic syrup. The mushroom is the absolute best option in my opinion but if you’re the indecisive type you can always get one of each ($10) or all three ($14)! 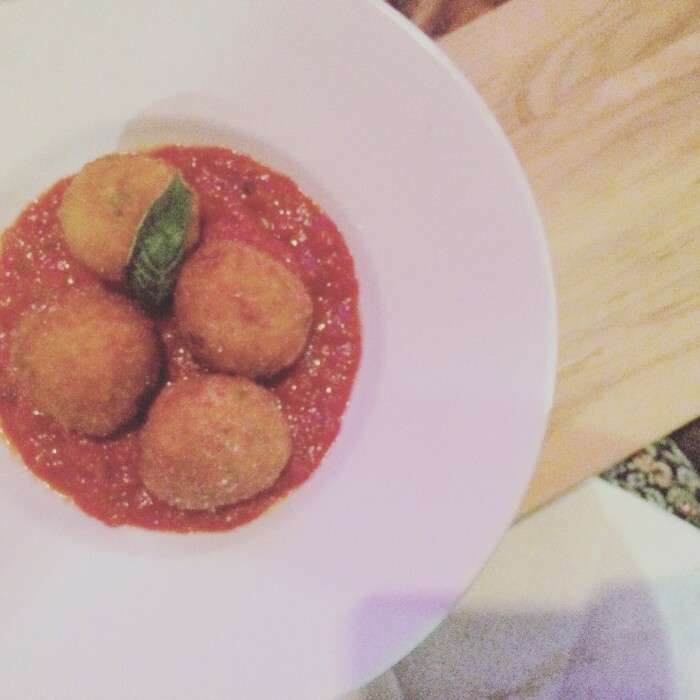 I spy arancini on the menu this time so I share an order of the crispy risotto balls, pancetta, tomato, sweet peas, mozzarella and pomodoro. I wish I could eat the bruschetta and the arancini because I love both! I agonize over the menu every time I come because everything is so good. The wood-oven pizzas have the best crust and are topped with the most mouth-watering ingredients and the pastas are incredibly fresh and satisfying, the salads look delicious but let’s be honest with those two previous options listed – do I ever consider a salad? Nope. After a strong suggestion from our lovely server, I settle on the Ravioli di Zucca (lunch size) – butternut squash, brown butter, fried sage leaves, ricotta and amaretti. The brown butter makes it lightly sweet and very savoury and it’s the perfect amount of food. I steal a bite of my friend’s Mela e Brie pizza with apple butter, brie, speck (like a smoked proscuitto), pear, walnuts and arugula. Though some say this pizza is too sweet, I find it is the perfect mix of flavours. The arugula tempers the apple butter and pear. Yum. The Retro is a table favourite, it has genoese pesto, mozzarella, goat feta, house-smoked farm chicken, sundried tomatoes and roasted red peppers. $$: Considering the quality of food, I feel prices are very reasonable. After a cocktail, shared app and entree I spent around $30. Bonus(es): If you take photos of your food, the dim lighting is not convenient BUT the atmosphere is very first-date friendly, flattering and moody – I feel like I am in a scene from an HBO series set in an NYC restaurant when I visit. I also love all of the local vendors they use! And they offer gluten-free options for those who need substitutions. Keep up with Atomica: Follow their updates and delicious food photos on Instagram, Twitter and Facebook.